If you’re driving all over town getting ready for the holidays, see if you got a targeted offer to earn 4% back at gas stations! 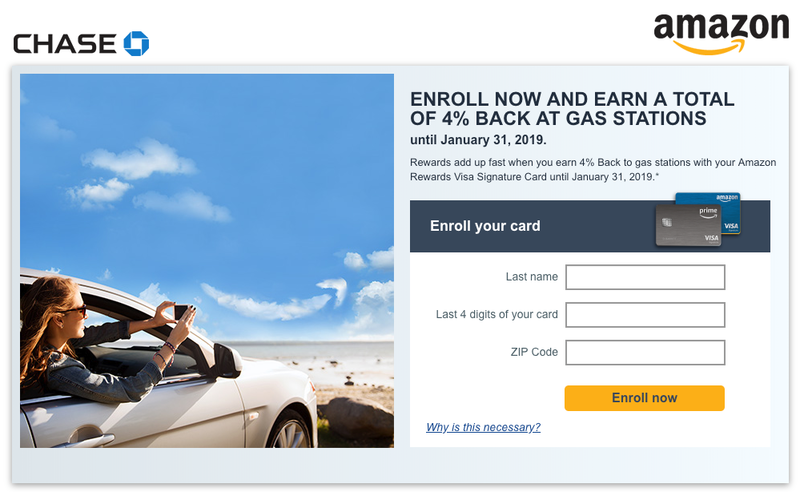 Folks with a Chase Amazon Prime Rewards card report getting emails to activate extra gas savings through January 31, 2019. This card normally earns 2% back at gas stations, so this is effectively double the bonus. It’s also one of the best credit cards to save on Amazon shopping, so this makes the deal even sweeter! 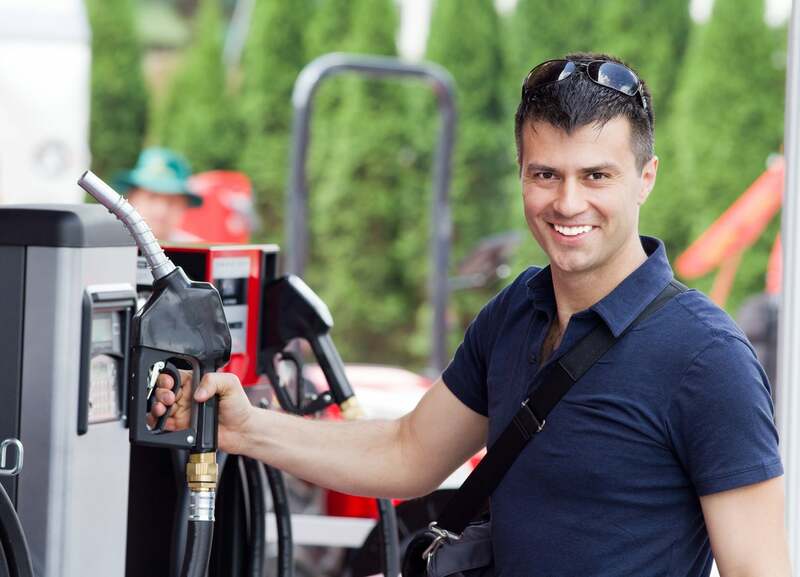 If you want to save on gas all the time, check out our picks of the best cards to use at the pump, including the Citi Premier℠ Card, which always earns 3X Citi ThankYou points per $1 spent on travel – including gas stations! Save on Amazon Purchases AND Get 4% Back at Gas Stations. If You Have a Chase Amazon Card, Check Your Email! I’ll share the promotion details! Link: Use the Best Credit Card for Amazon Purchases to Avoid Missing Out on Easy Rewards! Check those inboxes! If you have a Chase Amazon Visa, you might be targeted to register for extra savings as gas stations. After you activate the offer, you’ll save 4% on gas purchases through January 31, 2019. If you didn’t get an email, you can try to register via this link. The information for the Chase Amazon Prime Rewards credit card has been collected independently by Million Mile Secrets. The card details on this page have not been reviewed or provided by the card issuer. 4% Back Is a Good Deal to Save on Gas This Winter. See If You Can Add the Offer to Your Card! Considering this card has no annual fee, that’s literally free savings for purchases you’ll be making anyway. You’ll also earn 3% cash back on every purchase you make at Amazon and Whole Foods. And if you have an Amazon Prime membership, you’ll earn 5% cash back! With shopping season in full swing, it’s one of the best credit cards to use for Amazon shopping. And if you add the targeted deal to your account, it’s a great way to save on gas for a few months! Depending on how much you drive, it might be worthwhile to get a card to save on fuel. Especially if you have a long commute or road trips coming up. We love easy deals like this! Were you able to register your card for gas savings?